"You'll catch more flies with honey than with vinegar." This idiom has been around a long time. Yet, its literal meaning may not be factually true. According to most sources, flies are more attracted to vinegar than honey, since it mimics the smell of rotting fruit--which they seek. Regardless of its factual truth, its figurative translation still rings true. With this in mind, we wanted to highlight a few ways banks are winning big when it comes to employee engagement. Certainly every bank has a different mix of employees, so what works well at one bank may not generate the same stellar results at another. However, banks rated highly by employees seem to share similar characteristics. One common theme is that these banks tend to go out of their way to make their staff feel valued -- whether that's through monetary rewards or prizes for a job well done or free food, or employee birthday celebrations. Some banks are also helping to boost employee engagement through robust volunteer programs. In addition to helping our communities, banks that make volunteerism a priority also help boost employee morale and encourage cooperation among team members -- even as they help the communities they serve. Consider a community bank in MA, which was recently honored by the ABA for its corporate volunteer efforts. This past June, the bank closed all of its retail locations and operations centers for a day of employee volunteering. The bank had a 95% participation rate, and employees completed 56 group service projects. While this community bank has held several volunteer days in the past, this was the first time bank operations were closed, so all employees could participate. Another community bank in TX makes volunteerism a priority. It conducted a company-wide day of service this past Columbus Day when bank offices were closed. Volunteer initiatives took place in 27 locations within its geographic footprint. Projects included meal preparation and delivery, landscaping and visits to homebound individuals. Providing vigorous continuing education programs is another way banks are helping to engage employees. A community bank in NC, was recently recognized for the 3rd consecutive time by American Banker as being one of the best places to work. The small-business lender began its continuing education program for employees and directors in 2013. American Banker notes that the bank now offers more than 20 courses on topics such as managerial effectiveness, credit underwriting and banking fundamentals. Impressively, upwards of 75% of the bank's employees have taken at least one class. Yet another bank that ranks highly on American Banker's list of best places to work offers employees with leadership potential an 18-month training program that entails two days of sessions every other month. At the program's end, they present a project to senior executives. However you go about engaging employees, it's important to do so and to measure results. Employee satisfaction not only builds a sense of camaraderie within the institution, but it makes it easier to work together and trust each other. 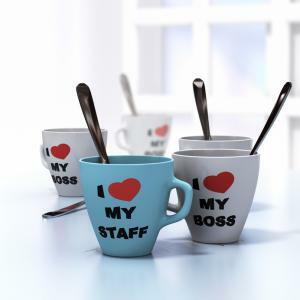 Employees who are happier often go above and beyond since they also feel more valued. Lastly, replacing employees is very costly. According to ERE Media, an online HR community, it costs 30-50% on the annual salary of an entry-level employee to replace them. That figure goes up to 150% for mid-level employees and as high as 400% of high-level or specialized employees. No matter how you decide to try and catch flies, it makes good business sense to keep your employees happy and engaged. Yields escalated 10bp as investors continued to reposition for a Trump presidency. 1) MetaBank ($3.2B, IA) will acquire tax advance and consumer lending company Specialty Consumer Services (TX) for up to $50mm in cash & stock dependent on performance. Moody's credit rating agency has a negative outlook on 26% of sovereign credit ratings due to anemic growth and high public sector debt. This is the most since 2012 and points to ongoing softness globally. The FDIC reports banks paid $37.5B in taxes through Q2. The Fed reports the number of banks seeking additional collateral on farm loans is now the highest level in 25Ys. A drop in farm land values and a global crop surplus has led to a decline in loan payments so banks are taking action. The Wall Street Journal reports Q3 earnings for S&P 500 companies climbed 2.9% YOY, the first quarter of growth following 5 consecutive quarters of contraction. Research by TSYS of consumers finds the following features ranked highest for mobile phone features: using the phone to immediately stop a transaction that was not made by them (69%), instantly viewing transactions made with debit or credit cards (62%), receiving instant offers and promotions for stores visited (54%), using the phone to turn the payment card on or off based on location (53%), using the phone to turn payment card on or off based on type of store (50%). Research by Bank Director finds the CFPB now has 1,500 employees, has filed 150 enforcement actions and captured $11.7B in restitution since its inception. Research by CCG Catalyst finds 68% of millennials say they use online banking.